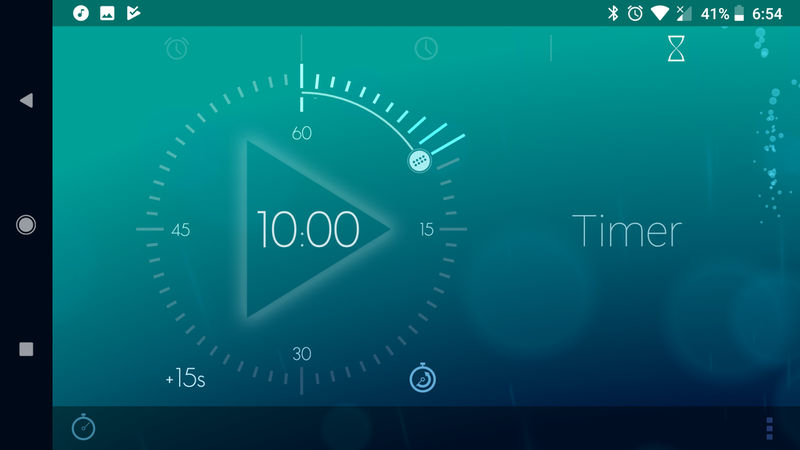 I use Timely on my Android phone to set timers for writing. Use whatever. The first writing is in some ways the easiest, though it may feel impossible at the start. There's all that tension and expectation that "I have to create something good." Well, no, creating good stuff is not the point. It’s not even close to the point. This is one of those cases when done beats good. The first key to writing is to write and on this first writing, the only job is to write and not stop for a while. That couldn’t matter less. Write about the day so far. Start with the words "I remember" and see what happens. Write a dream from last night. Write your wish of what life should be by next year. Write the instructions for making really good coffee. Whatever first flits into your mind, that's what to write. No one but you is ever going to see this, so just write. That's easy. It should be ten minutes long. The timed writing is the most useful writing practice I know. If you don’t want to take my word for it. Peter Elbow is the first person I learned it from in his book Writing Without Teachers. Natalie Goldberg pounded it farther into my head and my habits in Writing Down The Bones and Wild Mind. I’ve taught this to students now for twenty years. Timed writing just works. Do it. Find an egg timer, break out the running watch, open the clock app, set the timer on the stove, or open Google and type "set a timer for ten minutes." In a few moments you'll start that timer. When you do, you'll begin writing and you won't stop for anything other than the house catching fire. Even then, if you can let it burn for just a couple more minutes, that would be great. The paper and pen or pencil that you have gathered, put them on a table or desk and pull up a chair. Sharpen the pencil if it's dull. I put the date at the top of every page I write. Hold the pen or pencil gently. Try not to white-knuckle it. That tires the whole body and you've got ten minutes of writing to do. Stay loose enough to get through it. Once the timer is running there will be no stopping. Don't worry about spelling or punctuation, paragraphs or sentence structure. Put away the fear that you have no right to put words on paper. Don’t edit. Once the timer is running, start writing and don't stop. Leave mistakes on the page. Those are good things. They don’t seem like it, but they are. Oh, and try not to think. In Bull Durham, catcher Crash Davis tells his pitcher Ebby Calvin LaLoosh, "...lesson number one: don't think; it can only hurt the ball club." Just throw the damn ball. It’s the same with writing. It’s no good to try thinking what should come next. Just throw and keep throwing. If you feel stuck, write, "I feel stuck right now and at a loss for what to say." That way you’re still writing. Write about how frustrated you feel. Write about what a jerk I am for giving this stupid advice to keep going. Keep writing. Something will come even if it's just writing about feeling stuck and frustrated. Ready? Pull the paper toward you. Pick up the pen or pencil. Loosen your shoulders, arm, and hand. Hit the timer. Start writing and don't stop for ten minutes. Everything flows from here. This is the second post in this series. The first was Writing, Yes. Fame & Fortune, Maybe Not.